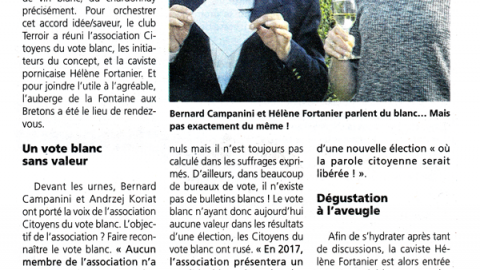 Le Wall Street Journal s’intéresse à l’émergence des mouvements en faveur du vote blanc et évoque le projet du mouvement des Citoyens du Vote Blanc. Il est temps d’affuter votre anglais. In French Election, Voters Can Choose Le Pen, Macron—Or No One. French citizens head to the polls on Sunday to decide on the country’s next president. But many are expected to cast blank, or “white,” ballots. WSJ’s Max Colchester reports. PARIS—France’s presidential election is breathing new life into Stéphane Guyot’s six-year campaign to ensure that votes for nobody count for something. 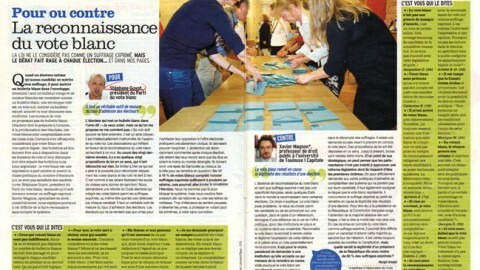 Casting a blank ballot to register displeasure with politics and politicians has a long history in France. Many disaffected voters are expected to avail themselves of this option in Sunday’s final round contest between pro-European Union centrist Emmanuel Macron and far-right nationalist Marine Le Pen. 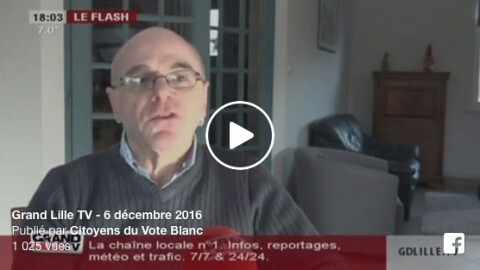 Under current election rules, however, the so-called ballot blanc, or white ballot, is purely symbolic. Mr. Guyot, who leads the advocacy group Citizens of the White Ballot, wants to change that and turn the protest vote into a giant electoral eraser. 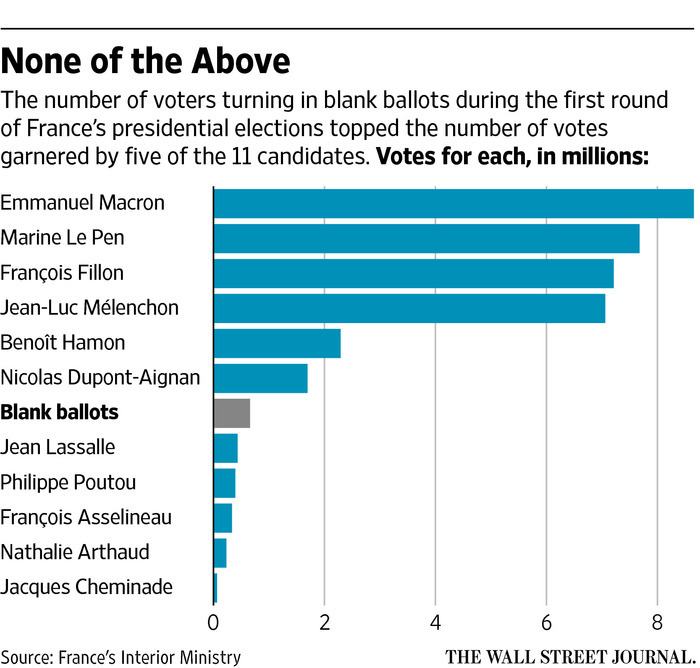 Candidates in French presidential elections need more than 50% of vote to win. If white ballots were included in the official tally, Mr. Guyot says, voters could use them to deprive candidates of an absolute majority and force fresh elections. “It would be very efficient,” he says. In the first round of the presidential election in April, there were about 660,000 white ballots cast—higher than the total vote tallies for five of the 11 candidates running. Pollsters, who predict Mr. Macron will handily defeat Ms. Le Pen, are also forecasting a record high number of white ballots on Sunday, with a large number of voters expected to abstain in one form or another. Turnout is expected be the lowest since 1969, according to a poll published Friday by Odoxa. After mainstream candidates were sidelined in the April 23 first round, these voters now say they don’t identify with the positions of either Mr. Macron— who wants to reinvigorate EU integration—or Ms. Le Pen—who says France would be better off out of the bloc and the euro. That could weaken the hand of the next president, whose immediate challenge will be to secure a workable majority in the French parliament in legislative elections set for next month. “Macron and Marine Le Pen, they don’t represent me. They don’t represent more than 50% of the French people,” says Vincent Masserot, a 32-year-old who works for an insurance company and says he will cast a white ballot. Anti-establishment politician Jacques Cheminade, who was eliminated in the first round of the presidential polls after winning just 65,000 votes—far behind the number of white ballots cast—says he is planning to cast one on Sunday. “I cannot bring myself to vote for either” Mr. Macron or Ms. Le Pen, he said. 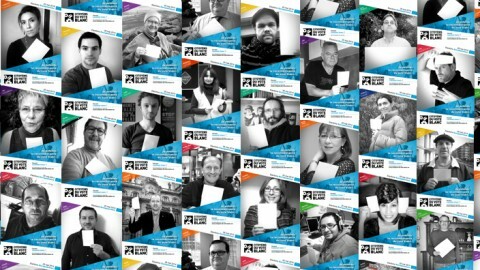 Ahead of the final round, the white ballot has come under attack, mainly by mainstream politicians, who say choosing nobody amounts to giving Ms. Le Pen a chance to reach the Elysée Palace. “They were too scared of the vote for no one,” said Mr. Guyot. Mr. Guyot, a 48-year-old florist, has continued to press his grassroots operation. Citizens of the White Ballot organized gatherings to rally supporters. 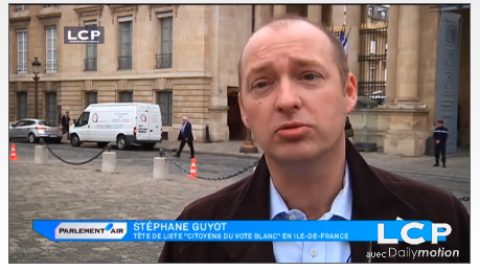 Mr. Guyot met with an aide to President François Hollande at the Elysée Palace. 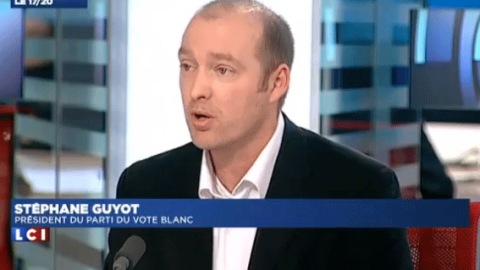 As this year’s elections approached, Mr. Guyot attempted his own presidential run to promote his view that white ballots should count. He travelled the country in a crisp white shirt brandishing a blank piece of paper. He pledged to do nothing if elected. But Mr. Guyot failed to collect enough signatures from elected officials to qualify for a place on the official ballot. 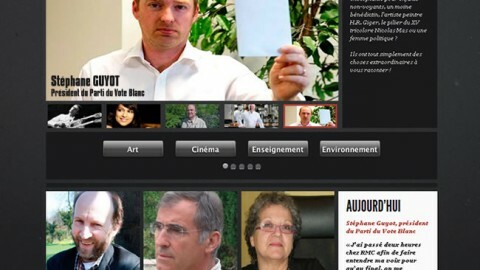 Now Mr. Guyot and his supporters are targeting the parliamentary elections. Some 50 candidates will fan out across local districts in the name of no one. Européennes 2014, c’est parti !